Crocus Hill, Desnoyer Park, Hamline-Midway (part), Highland Park (part), Lexington-Hamline, Macalester-Groveland (part), Merriam Park, Snelling-Hamline, Summit Hill, St. Anthony Park and Summit-University. Committed to the delivery of efficient and effective county services, eliminating disparities in county services and systems, and raising grassroots awareness of county decision-making processes and systems, Commissioner Carter has led several Ramsey County system change efforts such as the Juvenile Detention Alternatives Initiative that has reduced the number of youth held at Ramsey County's Juvenile Detention Center and increased system and community alternatives for low-risk youth. She is engaged with school, community and intergovernmental partners in strategic collaboratives for child safety, student achievement and youth development, including through the Saint Paul Children's Collaborative and the Saint Paul Promise Neighborhood. She is also working to implement metropolitan area leadership to end racial disparities in workforce participation through the regional Everybody In collaborative. An advocate of Central Corridor light-rail transit and a member of the Met Council Central Corridor Management Committee, Commissioner Carter has worked with stakeholders toward a holistic, community-generated vision of transit and surrounding development that helps people - especially those within the corridor - to access jobs and other resources, explore new avenues and remain connected to each other. She celebrates the active involvement and collaboration of neighbors, businesses, non-profits and government along the Green Line to realize shared visions for the corridor including the build out of the Western, Victoria and Dale Street stations, integrating streetscape and public art, working towards innovative parking resolutions and advancing development that increases opportunity and prosperity within the area. A member of Governor Dayton's Transportation Advisory Committee, she continues to work with statewide stakeholders to ensure comprehensive funding to enhance Minnesota's overall transit and transportation infrastructure. 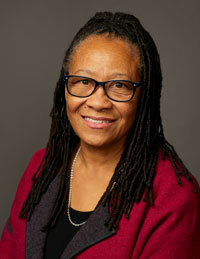 Prior to her election to the Ramsey County Board of Commissioners, Toni Carter served as a member and chair of the Saint Paul Board of Education. Active in community building for over 30 years, Commissioner Carter has served on numerous community boards, including the Saint Paul Planning Commission, the Metropolitan Area Library Service Agency (MELSA), the Walker West Music Academy, the West Side Community Health Center, the Saint Paul YWCA and the Jeremiah Program. Commissioner Carter has worked previously as a teacher at Crosswinds Middle School, IBM systems engineer, marketing representative and systems support manager, and communications and arts consultant. She has worked and volunteered in the Twin Cities arts community for over three decades, acting professionally with Saint Paul’s Penumbra Theatre, in television and radio commercials and industrials, as talent for print media, and as co-founder/founding director of ARTS-Us. She has produced two professional videos, and published a hardcover book. Commissioner Carter has received numerous awards for her work in the community and in the arts and arts education, including an Honorary Doctorate in Humane Letters from Concordia University – Saint Paul. Born in Birmingham, Alabama and raised in Cleveland, Ohio, Commissioner Carter moved to Minnesota in 1971 to attend Carleton College. She is married to retired St. Paul Police Sergeant and Save Our Sons co-founder Melvin W. Carter, Jr. They live in the Summit-University neighborhood, and are the parents of three graduates of the Saint Paul Public Schools – Anika (Roi) Ward, Melvin W. Carter III and Alanna (Anthony) Galloway. They have six granddaughters and two grandsons.